If you need a nice ride in the great Shanghai city, just simply contact us now to get our BEST QUOTES and GREATEST SERVICES today! Car rental serivice provider in Shanghai China ! We drive your way in Shanghai ! located in eastern China, at the middle portion of the Chinese coast, and sits at the mouth of the Yangtze River. Also known as “Oriental Paris”, Shanghai is the most populous city in China due to its rapid growth in the last two decades; it has again become one of the world’s leading cities exerting influence over finance, commerce, fashion, and culture. Originally a fishing and textiles town, Shanghai gain its importance in the 19th century due to its favourable port location and was one of the cities opened to foreign trade. The city then flourished as a centre of commerce between East and west, and became a multinational hub of finance and business in the 1930s.However, with the Communist Party takeover of the mainland in 1949, the city's international influence declined . In 1990, the economic reforms executed by Deng Xiaoping resulted in another phase of booming, bringing back the finance and foreign investment to the city . Shanghai is now targeting to become a global finance hub ,international shipping centre and is predicted to become one of the world’s main global financial centre in the future. Shanghai is also a popular tourist destination, attracting millions of visitors from home and abroad each year, it has many renowned historical and culture landmarks such as The Bund, Peoples and Yuyuan Garden, and its extensive yet growing Pudong skyline. 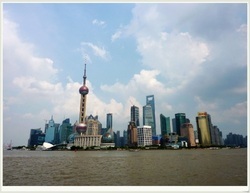 The Grand 2010 World Expo was held in Shanghai, attracting 73 million visitors. It is described as the "showpiece" of the booming economy of China. 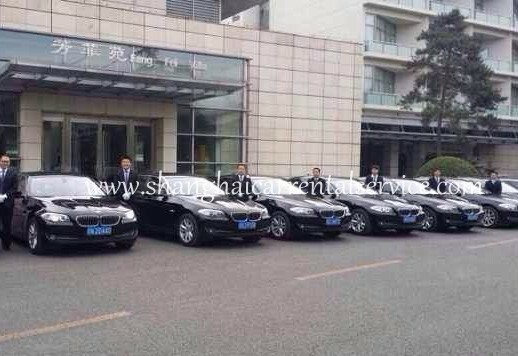 Shanghai Car Rental Service will be very honored to have the opportunity to serve you in shanghai with our great limousine services, we will insure a hassle-free, most comfortable trip no matter you are traveling shanghai for official business visits or personal tourists. All our drivers are from local and they are all licensed, well trained and with more than 6 years’ experience in serving our foreign customers, they are also quite familiar with the routes in Shanghai and can easily drive you wherever you want. ◆Shanghai railway /bus station transfer include shanghai Hongqiao, shanghai South and general train stations. ◆ Shanghai cruise terminal transfer services , cruise terminal include Shanghai Intertional cruise terminal and Shanghai Wusong Kou international cruise terminal ,tour guide services are available upon requests. ◆Shanghai Daily Limousine or car rental services (chauffer services) for short term period, such as shanghai city tour sedan /mini van/mini bus services for individual or group travelers. ◆Long-term car lease for individuals or cooperates in Shanghai. ◆Professional English , French , Spanish ,Russian ,Italian ,German Speaking tour guide and Business Interpreter/Translator services are available upon requests. 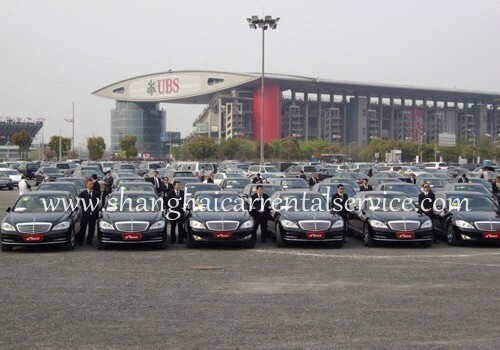 We are commited to provide the car rental services with drivers / Chauffeurs for Chinese F1 Grand Prix. Our vehicles are available as : MPVs, Luxury Limo , Coaches / big buses as well as local tour guides and Interpreters.